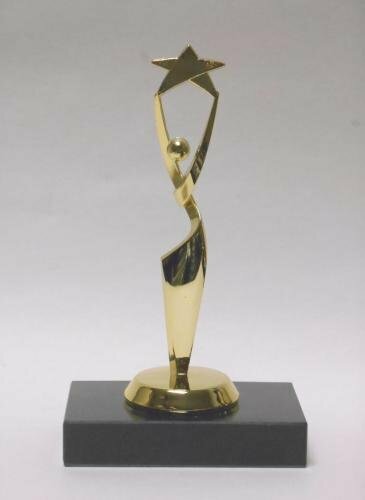 Triumphant victory figure on a genuine marble base, appropriate for any sport, academic achievement, or recognition occasion. Simply add this trophy to your shopping cart and use our unique trophy builder technology to customize your trophy. Choose from a white or black genuine marble base. 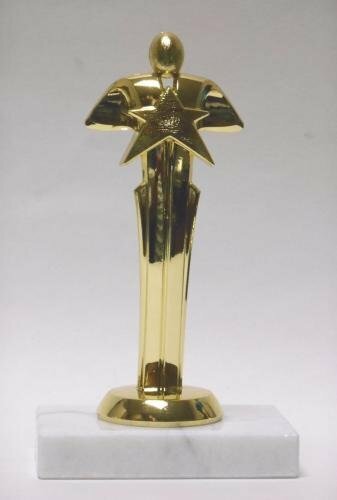 6 3/4" trophy featuring a Four Star Series figure of your choice. Choose your base to further customize this trophy. 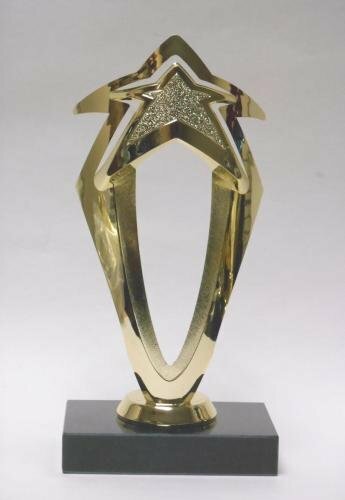 8" trophy featuring a large Mega Star figure. Choose your base to customize this trophy. 7" trophy featuring a Reach for the Stars figure. Choose your base to customize this trophy. 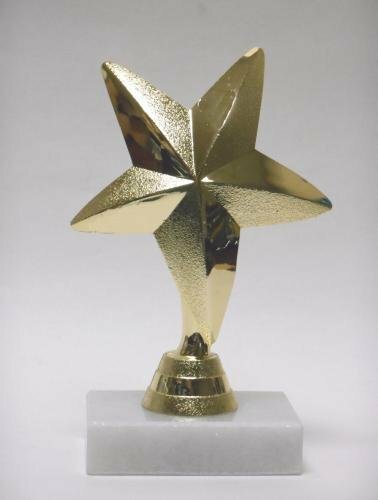 6" trophy featuring a Rising Star figure. Choose your base to customize this trophy. 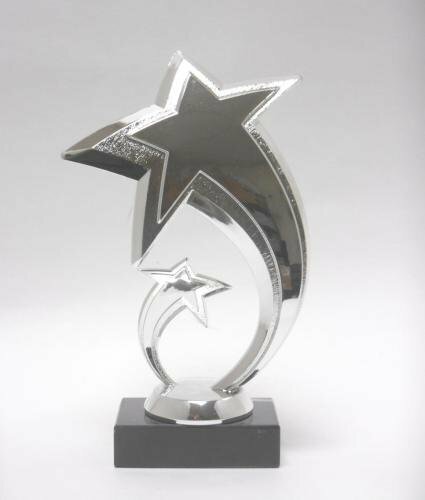 7" trophy featuring a shooting star figure on your choice of marble base. Simply add this trophy to your shopping cart and use our unique trophy builder technology to customize your trophy. Choose a white marble or black marble base. 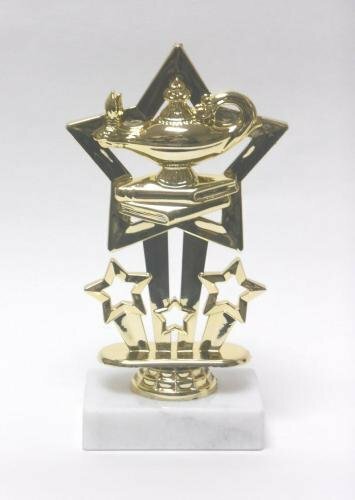 7" trophy featuring a Star Achievement figure. Choose your base to customize this trophy. 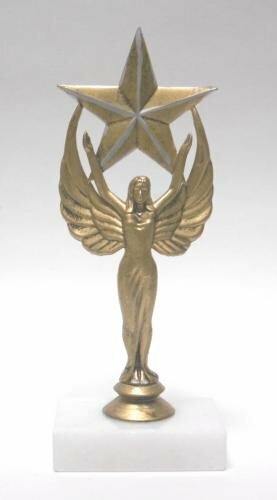 5 3/4" trophy featuring a Star figure. 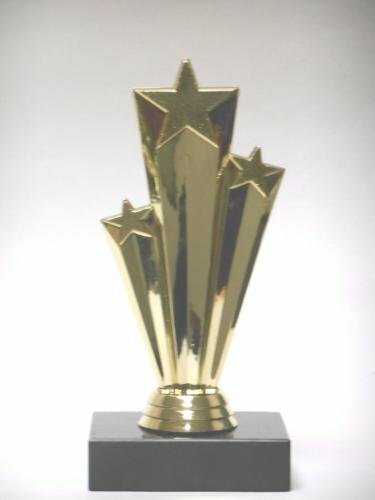 Choose your base to customize this trophy.